Two years ago was the last blog post I produced on this WordPress site. Now, I feel the time is about right to return. Why the long absence? Coincidentally, my last blog post was about being an active student and how you could make the most out of distance learning; I am an Open University student and, contrary to wide belief, there are ways to get out and have some fun. In 2015, I set up the Open University Students Association Young Students group. The aim – a platform for OU students at the lower age of the spectrum. Around 25% of all Open University undergraduates are 18-25 years old. Add in to the equation that the OU has the largest number of students at one institution and you soon realise that’s a vast number of students. Many thousands, infact. The focus of the group has been on making the OU more accessible for younger people and allowing students (those who may have previously not engaged with the university) to interact with the students association. Alongside, I created the blog site @YoungOUStudents which was another way to allow younger students to express their feelings and thoughts on the university experience through writing. I’ve not exactly been away from blogging. I have, however, been practicing my presenting voice. I have been presenting on the OU Students radio programme (STUDIO) over the past 18 months or so. It’s a brilliant exercise and something that I am passionate about. Plus it is a laugh…not so much when things go wrong! Two years later and my student life is drawing to its close; my final module concludes in June. Part of the reason for not blogging about my personal experiences and thoughts was simply time – it’s a fickle thing. You either have too much or too little of it. I had to focus on my studies and now I can return from the hiatus/wilderness/sinkhole to do something I love – writing and offering thoughts on one thing or another. A lot has changed in the world in two years. Half of those faces who were ‘iconic’ – Corbett, Wogan, Rickman et al. have left us. The world has changed. In the UK, the land is led by women – May and Sturgeon. Though, heads seem to be clashing frequently. Cross the Atlantic and one finds a celebrity businessman at the helm of the “free world”. I use inverted commas since most times the media try to report on the “free world” they are accused of not doing so. It is an unusual and, at times, largely uncomfortable set up. Television has changed too. Top Gear, possibly the most important programme in history, has undergone massive changes. It evolved in to The Grand Tour when Jeremy Clarkson and co left the BBC after THAT altercation. Back at the Beeb the rush to get the new Top Gear on screens, the defensive mite was confident it didn’t need the self-diagnosed loudmouth. It was a poor show. Things have progressed but the BBC Top Gear is simply a car show now. I have also read a book. The first in a couple of years (except university text books). It was written by Peter Sissons, a fellow proud Liverpudlian/Scouser. I liked his take on Liverpool of days gone-by and his first-hand accounts of reporting from war zones, and creating them in the newsrooms he has worked in. An obsession (not a sadistic one) has developed too. I’m now a self-confessed gym-goer. Nearly 4 times a week. Though on beautiful spring days, I wonder why I am driving to a large, converted warehouse to run on a treadmill when the world and environment around me is so appealing. One of the psychological benefits of sport and fitness is how positive and fresh your mind feels after a workout. So much so that I do not feel guilty about an Indian or Chinese takeaway and thus I need to return to the gym to burn off the consumed calories. It’s a vicious circle. Then again, without the gym, I wouldn’t be able to clamber in to the slim fit jeans I now occupy. Feel free to follow my (not so) interesting thoughts on Twitter – @jackjevons_ – that’s another change. I’ll be updating this blog with my observations as and when they happen (or shortly after). Hillsborough, 24 years on: The truth, the 96, and the tributes. The Kop at Anfield has been full to capacity this afternoon as Merseyside pays tribute to the 96 Liverpool fans who died at Hillsborough. 24 years on. The memories are still raw for many, and the 96 remain a huge part of the LFC and Liverpool city community. It has been a poignant year for the families. The truth revealed for the nation in black and white. Today is possibly the biggest anniversary memorial in the Hillsborough history. It was the worst footballing disaster in British history and remains one of the world’s worst incidents. 96 Liverpool fans were killed on what was described as a warm, spring day. The cause – they were crushed to death after a string of errors by police officers. The truth of this was only revealed in its full extent in September 2012 when the Bishop of Liverpool, James Jones, published the Hillsborough Independent Panel Report. The report found details which the people of Merseyside had known all along – the police had allowed the crush to happen, safety at the ground had been compromised at every level, and ambulances were not allowed onto the pitch. The report found that there was no evidence that suggested the Liverpool fans were responsible. 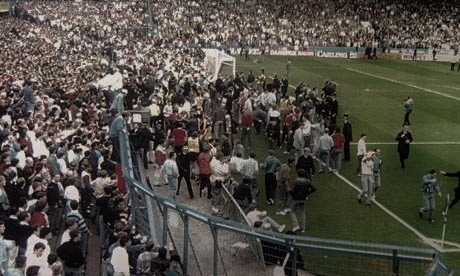 In other astonishing details, South Yorkshire Police created a false account of the event, painting a picture that the fans were the cause and the police were at risk. The evidence of this came from the documents which showed how 164 witness statements had been altered, with 116 of them being changed to remove any negativity toward the police. Officers took blood samples and checked national databases from all of the victims, some of them children, in an attempt to “impugn their reputation”. The then Conservative MP Irvine Patnick passed on false accounts to the press which led to a widespread view that Liverpool fans were responsible. This led to possibly the greatest boycott in the United Kingdom. Kelvin McKenzie, the then editor of The Sun, favoured the headline “The Truth”, suggesting some of those false allegations – fans were ticketless, drunk, violent and urinating on the victims. All accounts of fans at the Sheffield Wednesday stadium contradict these false and malicious reports. The headline and reports were printed just days after the disaster – there was little evidence and the formal investigation had only just begun. Since that headline, the people of Merseyside, regardless of their team, do not buy The Sun newspaper. Campaigns such as “Don’t buy The Sun” are still rife amongst Liverpool today – and quite rightly so. Kelvin McKenzie apologised in the aftermath of the report being published. It does nothing to help or build bridges with Liverpool or the families. The original inquest, led by Lord Justice Taylor, backed a 15:15 cut off point at the game. The inquiry said that none of the victims could have been saved after this time and all of those who died at the stadium were dead by this time. Therefore, none of the events following this time have ever been investigated. The Independent Report says there was evidence to support that “up to 41” of the 96 could have been saved. It added that by simply placing “merely unconscious” people on their backs resulted in their deaths. Furthermore, due to the Coroners cut off point it was never investigated as to why only one ambulance reached the Liverpool end of the stadium and why no more had been sent in, yet they lined the outside streets. It has been an astonishing year for the Hillsborough families and has shown how their courage and strength has been worthwhile. New inquests will be held into the deaths of the 96. It makes the 24th anniversary even more remarkable. 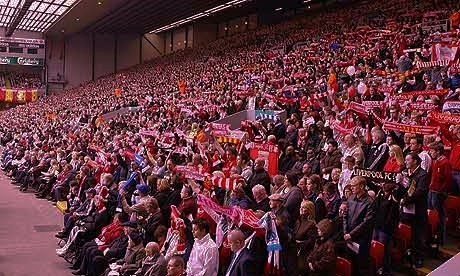 Standing ovations are often the scene on the 15th April every year at Anfield. Fans, from Everton and Liverpool, and even those who do not follow football gather for the traditional memorial event. The names of the 96 are read out, followed by hymns and prayers. Readings from the families and those involved with the history of the disaster, including members of LFC, the Bishop of Liverpool and MP’s are often welcomed by the strong and supportive crowd. The Kop has long been the home to annual memorial services to mark Hillsborough. It has been an incredible point in time for Liverpool, the families and the search for the truth. The release of these secret documents have highlighted the efforts of the families of uncovering the truth. This strength will continue throughout the inquests and eventual outcome. There have been many apologies; many people outside of Merseyside have stereotyped the fans as causing the disaster. For that, the Prime Minister apologised on behalf of all previous governments. Subsequent apologies surfaced from South Yorkshire Police, Kelvin McKenzie and Sheffield Wednesday Football Club. There still remains a minority who still do not understand the clear black and white. Comments from many ill-informed individuals still bring hurt to the many who now fully understand what happened in April 1989. It is with great confusion that I see some high-profile figures, such as Oliver Popplewell, as he criticised the conduct of the families and some figures still remain certain that it was the fans fault and that the police were not to blame. All that despite the report conclusion. Above anything, THE REAL TRUTH of Hillsborough has strengthened Liverpool as a community who are renowned for ‘sticking together’ and defending their own. The conduct of the families HAS been above and beyond exceptional and now the road to justice and prosecutions is well underway. Anfield is always a sea of emotion during football fixtures, but never as emotional as the time of the Hillsborough anniversary. Standing shoulder to shoulder, fans and ordinary people alike pay tribute to the victims who perished, yet changed the face of football. They will never be forgotten. Their legacy will always be a part of Liverpool.